Hungary's Prime Minister Viktor Orban, who is visiting Vilnius, praised Lithuania for its fast economic growth and the way the Baltic country dealt with its debt. The Hungarian prime minister said that Lithuanians "don’t know how lucky they are" to have economic freedom. Orban noted that Lithuania's debt is under 40 percent of GDP, and Hungary's debt is exceeding 70 percent. "We would also like to have such economic growth you have achieved. But we, unfortunately, are still dealing with the recession. We would really want our debt to be like yours," Orban told journalists. "Every man lives in his skin and looks into the world from there. I believe the Lithuanians don’t know how lucky they are. The Lithuanians are free. And they can hardly imagine the fate of people who are not economically free," Orban said at a joint press conference with Lithuanian Prime Minister Andrius Kubilius. The Hungarian premier also said his country would make use of the "calm attitude" Kubilius demonstrates. "Perhaps your premier's method is more successful. 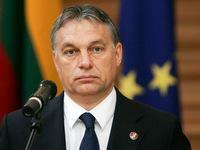 I believe we have to learn from this and we'll try to make use of learned things in the future," Orban said. 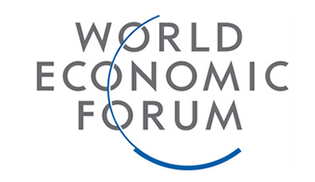 Lithuania 's GDP grew 6 percent last year and is estimated to grow around 2.5 percent this year. The Hungarian economic advanced less than 2 percent in 2011, and will be hit by recession this year. Orban's two-year-old government has a majority of two thirds in the country's parliament and has managed to avoid serious economic problems without stringent cuts. Instead of cutting expenses, the Hungarian government decided to increase revenues by taxing the finance, energy, and telecommunication sectors and renationalizing private pension funds. Nevertheless, after the demand in the euro zone dropped, the Hungarian economy began its slide. Orban has on numerous occasions accused EU institutions over the crisis, and the EU has criticized Orban for restrictions to the freedom of the media and the central bank. According to Orban, different economic measures in Lithuania and Hungary have been determined by their different situations. But, he added, Hungary would be able to follow Lithuania's suit in managing its debt. "Obviously, economic measures in a country with a 38-percent debt and in another country with 77 percent have to be different. Despite discrepancies in our countries, we are convinced that cooperation is a very important and significant issue," Orban said. "God willing, and if we stay for another year or two in Hungary, we would like to join such countries where the debt level is as low as in Lithuania," the Hungarian prime minister said. Lithuanian Prime Minister Kubilius shared his Hungarian counterpart's views and said that every country had its peculiarities, something that economic policies had to take into account. "All countries have different problems and therefore have to choose a path that will help them to solve economic and financial problems in a fastest and most effective way," Kubilius said. "The Baltic states' decisions in 2008-2010 are well-known. Despite being painful and unpopular, they have given us a fairly quick economic growth and debt growth put under control. Hungary has some other issues it's trying to resolve with measures it deems the most appropriate," the Lithuanian prime minister said. Orban also said the Hungarian and Lithuanian governments' positions on energy match, and Hungary is also interested in the development of nuclear energy. Orban also thanked Lithuania for is support in Hungary's disputes with the EU. "I would really like to thank the prime minister for supporting Hungary in the disputes with the EU over the last two years. We really appreciate your solidarity, friendship, and support," the Hungarian premier said. "In modern diplomacy, we most probably no longer have the sense of the real meaning of the word "friendship". If I said I was coming to Lithuania as a friend having friendly feelings, these words would most probably not be enough," Orban said.